Welcome to visit our website and our factory, looking forward to entering business relation with you in the near future. 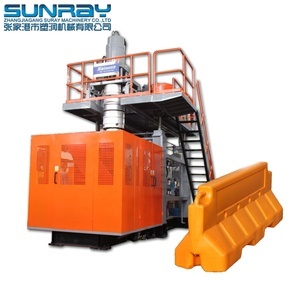 Forming We have 3 production lines of forming guardrail with advanced equipment, the output is 8000 metric tons per month. Galvanizing Three production lines specially for galvanizing guardrail, we can fabicate according to your requirment and meet your need. in the center part,can be customs made customer's logo printed in the plate. Our customers Q: Can your produce customized goods 9 A: Yes, the size, the height and the weight can be produced as per client's requirements. Q: Can you print words on products as per client's requirement9 A: Yes, make label according to your exact requirement. It is made of imported PE, it can absorb the energy of an impacting vehicle while preventing work area penetration. (2). Flash warning light can be installed in the recess area of barrier's top surface. (2). Also you could prepay the freight cost by Western union, we will send our sample asap once getting your payment. 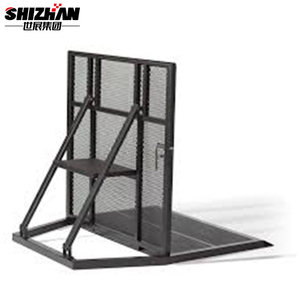 It is used for protection against accidents due to lift trucks or other mobile equipment in dock areas, aisles, around special equipment, or offices. Products have been exported to Europe, Asia, Africa and many other countries and regions. 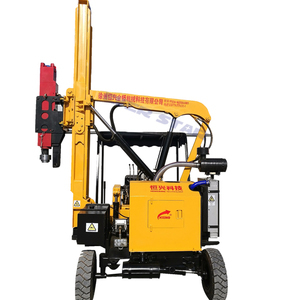 Our company will continue to keep high quality, customer-centered, technological innovation, good service as guidelines. &bull; The whole process from material to finished products can be traced. 2. Q: What's your packing methods9 A: Packed into bundle, and rest in bulk. 4. Q: What's your delivery time9 A: 15-35 days after received the advance payment or L/C. 2: Your emails will be answered within 24 hours on workdays 3: Experienced stuff will answer all your questions timely and correctly. RK is engaged in manufacturing and marketing professional stage systems and truss facilities. Main products: Flight cases, stages, lighting truss, Dance floors, various kinds of bleachers, and other related products. 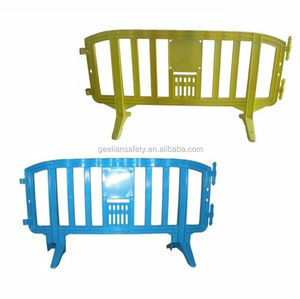 Alibaba.com offers 3,910 crash barrier products. About 70% of these are traffic barrier, 1% are fencing, trellis & gates, and 1% are other security & protection products. A wide variety of crash barrier options are available to you, such as pe, stainless steel. You can also choose from free samples, paid samples. There are 3,865 crash barrier suppliers, mainly located in Asia. The top supplying countries are China (Mainland), Singapore, and India, which supply 93%, 3%, and 1% of crash barrier respectively. 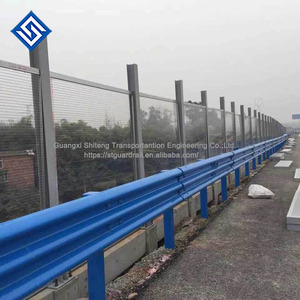 Crash barrier products are most popular in Domestic Market, Southeast Asia, and Mid East. You can ensure product safety by selecting from certified suppliers, including 1,725 with ISO9001, 474 with Other, and 81 with ISO14001 certification.